Jessica Kingsley Publishers, 9781849056557, 48pp. 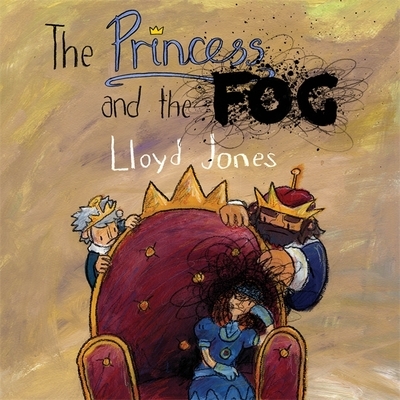 The Princess and the Fog is picture book to help sufferers of depression aged 5-7 cope with their difficult feelings. It uses vibrant illustrations, a sense of humour and metaphor to create a relatable, enjoyable story that describes the symptoms of childhood depression while also providing hope that things can get better with a little help and support. The story is also a great starting point for explaining depression to all children, especially those who may have a parent or close family member with depression. With an essential guide for parents and carers by clinical paediatric psychologists, Dr Melinda Edwards MBE and Linda Bayliss, this book will be of immeasurable value to anyone supporting a child with, or affected by, depression, including social workers, psychologists, psychiatrists, counsellors, arts therapists, pastoral care workers and school staff, as well as parents and carers. Lloyd Jones is a silly man with a silly beard who lives in the south of England. More of his work can be seen at www.lloydjonesillustration.com. Lloyd has a first class honours degree in Illustration from the University of Portsmouth, an MA in Sequential Design and Illustration from the University of Brighton and he is currently working on a PGCE FE from the University of Southampton. He has learned to live with his fog, rather than suffer from it.